Hotel Nippon found its place in cinematic history when it was featured in David Lean’s Academy Award winning film Bridge On The River Kwai. Built in 1882, Manning Mansions initially comprised 14 apartments to house British military officers. But sometime in the 20th Century, Roskowski senior bought it and turned it into a hotel which was popular with sailors. For a short while Roskowski ran it as “Hotel Polski” but renamed it as “Hotel Nippon” when he married a Japanese lady. The Japanese connection got strengthened in the mid 1950s, when Roskowski’s son Greg, an announcer in the then hugely popular English service of Radio Ceylon, also took a Japanese bride. Serving authentic Japanese food along with continental and local fare, Nippon became a must for Japanese visitors to Colombo. Meanwhile, Roskowski junior’s Japanese wife took as her business associate, Vethody Kumaran, a Ceylonese of Kerala origin, who, after leaving the engineering corps of the British army, was running a restaurant at Pettah. But it did not take Kumaran long to assume full ownership of the hotel. Under Kumaran, Nippon retained its place as one of the three modern hotels within Colombo city, the others being Galle Face Hotel and the Grand Oriental Hotel. 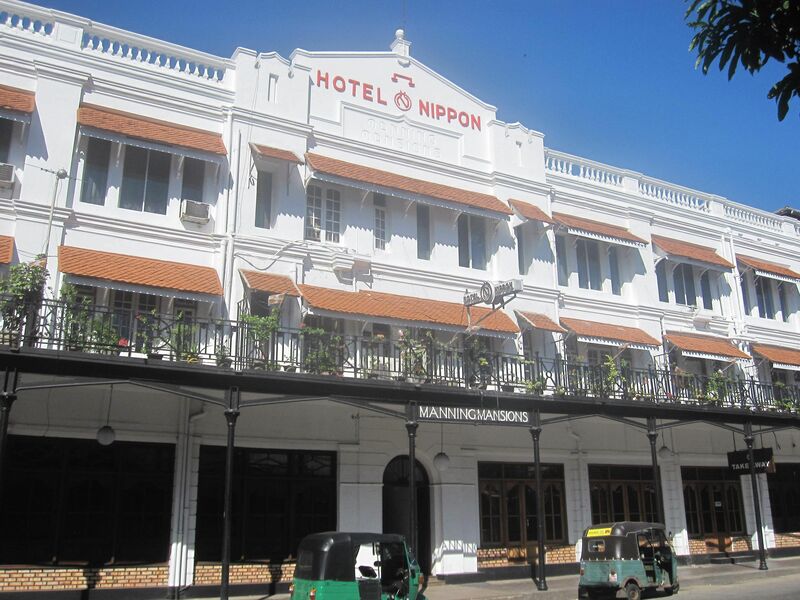 Nippon is thus an indelible landmark in the hospitality history of Colombo. But the good times came to an abrupt end in 1983 when ethnic riots convulsed Colombo. “From 1983 to till the end of the war in 2009, it was a dark age for the hotel,” recalled Vishnu K.Vethody, the young Managing Director of the hotel and a grandson of Vethody Kumaran. Nippon was particularly hard hit because it was located in a life-threatening zone housing the headquarters of the Sri Lankan Army and Air Force - institutions which were under constant threat from terrorists. In fact, on January 2, 2008, a bomb targeting an army bus went off right outside the hotel killing four. But once the war ended in May 2009, the Vethody clan sprang to life. Encouraged by the Urban Development Authority’s ambitious plan for the restoration of heritage buildings in Colombo, the Vethody brothers Valsan, Vasan, Chandrasena and the later Prasannan, launched an ambitious LKR 400 million (US$ 2 million) project to completely renovate the rooms and the building, while keeping intact the basic design, the trade mark façade, and the sturdy staircases made of 130 year old Burma teak. 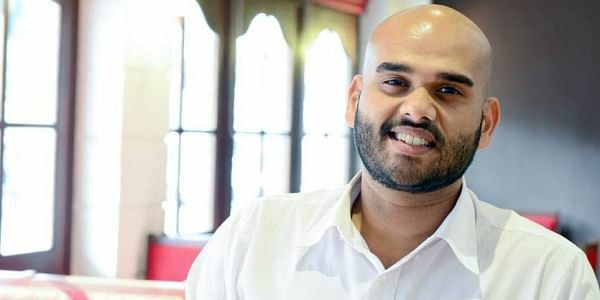 “The fixtures in the hotel, including the linen used in the rooms, are imported and on par with other top hotels in Colombo,” Vishnu points out. With Indians being the single largest group among tourist arrivals in Sri Lanka, Nippon caters to the Indian palate too. It is the only hotel to serve the famous “Madras filter coffee”. And being Keralites, the Vethodys have seen to it that the hotel serves a range of authentic Malayali dishes, both vegetarian and non-vegetarian. General Manager Amitha Manchanaike sitting at the helm, ensures that the administrative machinery is well oiled and up and running round the clock. And the tariff is competitive, points out Vishnu. “One does not have to have a deep pocket to book into Nippon as the charge per day for bed and breakfast is just US$ 60, with all taxes included. Given the low tariff people come with low expectations, planning to stay for a day. But seeing the good conditions, many end up extending their stay by three or four days,” he said. The renovated Nippon is meant to revive pleasant memories of the Colombo of the fifties and sixties when it was a swinging city with a distinctly Westernized air. Located not far from the sea front, the Beira Lake and cinema theaters, Nippon was a favorite rendezvous for young couples up to the late 1970s. “It was common for young people to see an English movie at the Rio and walk across to Nippon to have milkshakes or ice creams before heading home. I have come across couples in their sixties and seventies dropping in only to go back to their romantic past. An elderly lady got teary eyed recalling how her beau proposed to her sitting right here,” Vishnu said. Situated in a commercial area, Nippon has been a busy eatery during the day, famous for its “short eats” especially mutton rolls. “Our rolls makers have been passing their skill down generations. This is the secret of the uniqueness of Nippon’s rolls,” Vishnu said. The personal attention that Nippon’s staff gave to its customers had created an emotional bond between the two. “Personal service has been one of Nippon’s strong points right through. And we will to maintain it,” Vishnu pledged. And the Vethodys set the example. With airs whatsoever, they make it a point to address all staff members by their first names and move around the premises chit chatting with them. The Vethodys often go on excursions with the hotel staff to infuse informality in relations.